Gregory has considerable experience and expertise in various spheres of civil and commercial litigation and arbitration and dispute resolution. His present practice encompasses a specialisation in banking and corporate insolvency and a broader dispute resolution covering company and shareholder disputes, contract, tenancy and land law disputes, employment law, defamation, negligence, contentious probate and other tort claims. He is also a recognised expert in charities governance. He has been recognised by Best Lawyers in Singapore (2019) for Insolvency and Reorganisation law. Who’s Who Legal (2017) also identifies him as an ‘expert’ for Restructuring and Insolvency. Gregory graduated from the National University of Singapore and was one of the main speakers in the university’s mooting team in 1992 that emerged world runners-up at the 1992 Jessup International Law Moot Competition in Washington D.C. Gregory was thereafter admitted to the Singapore Bar in 1993 and joined Rajah & Tann after being in practice in two other leading law firms for 15 years (jointly heading the Banking and Insolvency Litigation Practice group of another leading law firm). 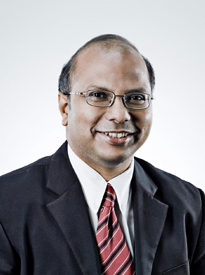 Gregory presently serves as President and Executive Committee Member of the Singapore Academy of Law. He served for close to a decade as Law Society Publication Committee Chairman from 2005 to 2014. He has previously served on the Inquiry Panel of the Law Society of Singapore, as Deputy Chairman of the Board of the Insolvency and Practitioners’ Association of Singapore and as inaugural Subject Coordinator for the Part B Elective on Wills, Probate and Administrations (appointed Senior Teaching Fellow) of the Singapore Institute of Legal Education. He regularly conducts nationwide and professional wide seminars and counts as his personal teaching highlights being part of Summer School Faculty in Handong International Law School (teaching International Business Transactions in 2008 and 2009), a lecturer on company law developments to the ACCA Annual Conferences for several years and lecturing for the LKY School of Public Policy in 2014 on Non-Profit Management for the 21st Century. A former South East Asian schools oratorical award winner, Asian silver medallist in international chess, two-time Law Society Appreciation Award winner. Gregory has been judicially commended by the highest court in Singapore in 2006 for “meticulous professionalism”. Gregory has also been humbled to receive the Good Samaritan Award conferred on him in Washington DC in October 2008 by Advocates International for his leadership of Advocates Asia – an NGO committed to (among others) international reconciliation, conflict resolution, religious liberty and professional ethics. Advising a strategic investor on various issues arising out of the Creditors' Scheme of Arrangement and the subsequent Shareholders' Agreement in China Aviation Oil's debt restructuring exercise. Lai Chong Lee & 2 others v Ho Mimi Sze & 6 others (Suit No. 1058 of 2017) (March 2018) (successful opposition to Trustees’ court application for sale of trust property pursuant to s56 (1) (Trustee Act) due to, inter alia, non-fulfillment of duties during the sale process.